An online presence is crucial to a business’ success. Custom designing a website on WordPress platform means the client gets exactly what they are looking for in a site. For Bandwave, this meant a more user-friendly website. The new website was created with a better user experience for existing and potential customers in mind. This included an integrated, interactive social media presence and a promotional video incorporated in Bandwave’s homepage slider. The new website is also responsive and mobile-friendly allowing users to visit the site at ease, no matter what device they’re on. 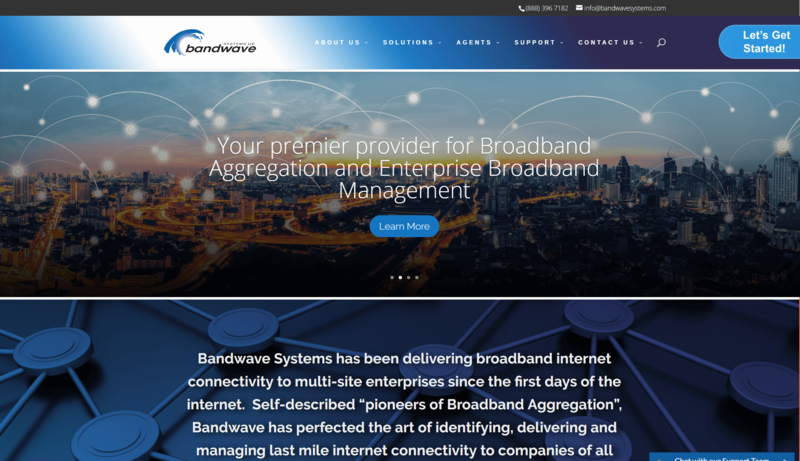 Client satisfaction is important to Bandwave which is why Manna integrated live chat software and a support ticket system into their new website. Bandwave prides itself in being able to live-answer almost all incoming calls and support tickets. Getting in contact with Bandwave is made easy through a multitude of options. 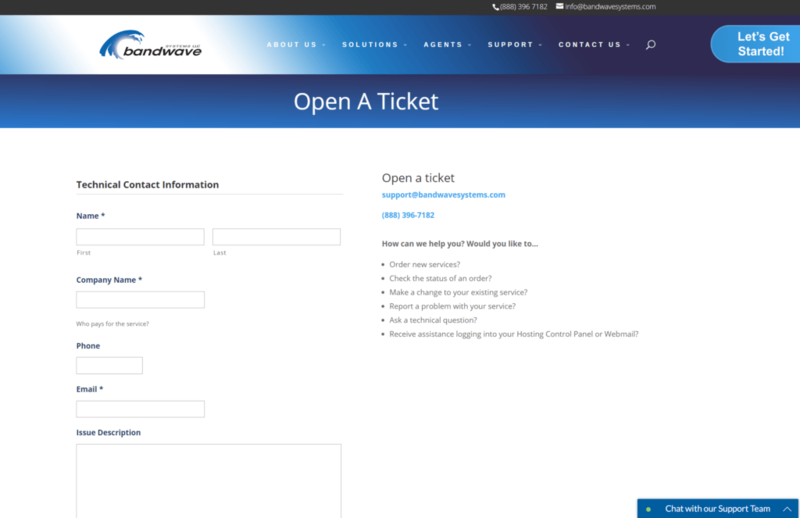 Visitors can call, email, fill out a support ticket, or live chat to reach their support team. Building a website on WordPress means Bandwave has full update capability through CMS. By enabling Bandwave to modify their full website, CMS removes the demand for hazardous proprietary applications. The client bears full accessibility to adjust and upload pages, posts, photos and videos.